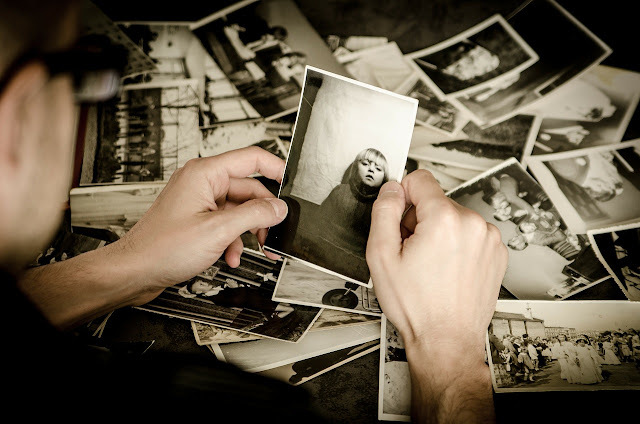 Many of us have a box stashed somewhere full of keepsakes and mementos. Our grandmother's linens, the high school year book, wedding favors, baby blankets - things too sentimental to part with. You certainly don't need to discard these things, but yet you still need space. Maybe the only alternative storage space you have is a musty basement where the humidity could damage your treasures. 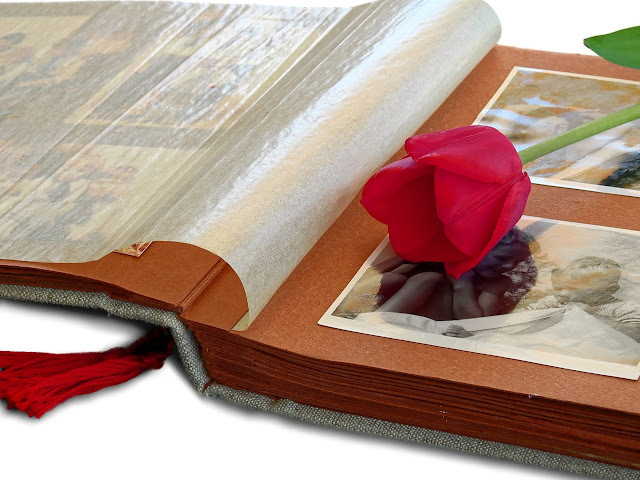 If you have keepsakes that might be damaged by bugs or moisture, consider storing them in a weathertight storage box. 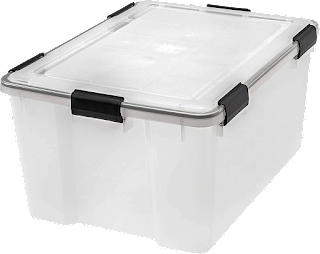 This particular storage bin has a seal in the rim making the box airtight, protecting your precious keepsakes from the air and moisture that could do damage to them. I've kept baby blankets from my own childhood as well as from my children's baby years in one of these bins for the last 9 years. If I open the bin, they only smell of fabric and plastic (the bin scent). No must. No mildew. Be sure the items you but into long-term storage have been cleaned prior to packing. Dust can form a residue that is difficult to remove and stains, however light they are, can darken and yellow over time. If you have china or silverware to store, see our section on packing up holiday china. For photograph storage, see our "holiday photos" post.